Getting divorced and resolving family law issues involves transitions that are not easy. 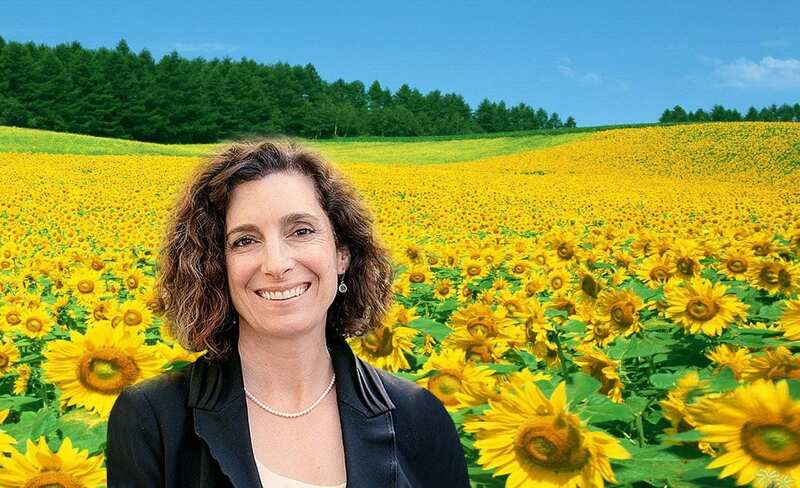 I am an experienced Massachusetts divorce mediator and family lawyer, and I will guide you through these transitions with compassion, treating you and your concerns with respect. We will work together, one issue at a time, to create solutions that work for you and your family and ensure that the focus stays on the healthiest process and outcome for you and your children. I use only processes—divorce mediation, collaborative law divorce, and out-of-court negotiation—that emphasize open, respectful communication. I am currently not taking "contested" cases, in which each spouse hires a Massachusetts divorce lawyer and fights in court. If you need representation in court, you must contact a different attorney. If you have been served with divorce papers, but you think you and your spouse can work together outside of court, your case can be converted into an uncontested case, and I can serve as your mediator. I do not take any DCF cases. I am also a QDRO lawyer, preparing Qualified Domestic Relations Order documents to divide pensions, 401K's, and other retirement accounts that were divided in your separation agreement when you divorced. Call to learn more about divorce mediation and uncontested divorce. As a divorce lawyer in Springfield, Massachusetts and Amherst, I specialize in mediation, uncontested divorce, out-of-court divorce negotiations, and QDRO (Qualified Domestic Relations Orders) document preparation. I will work with you to arrive at solutions regarding child support, parenting plans, property division, debt division, and spousal support issues. I will help you to make thoughtful transitions that ensure financial stability, secure parenting plans for children, and legal closure on difficult emotional issues. I invite you to explore this website to learn more about me, about mediation, about how divorce works and different kinds of divorce processes in Massachusetts, and to read client reviews of my work. As a divorce mediator, I act as a neutral facilitator to help you and your spouse come to agreement on the terms of divorce without battling in court. I prepare QDRO’s and DRO’s. A QDRO (“Qualified Domestic Relations Order”) is a legal order, entered as part of a divorce or legal separation, that is required in order to split ownership of a retirement plan to give the divorced spouse his or her share of the asset or pension plan. In collaborative law divorce, your spouse’s attorney and I sign a binding contract to drop out of the case if we cannot come to an agreement. This aligns our financial interests with your interest in reaching an agreement without the time, costs, and stress of court litigation. 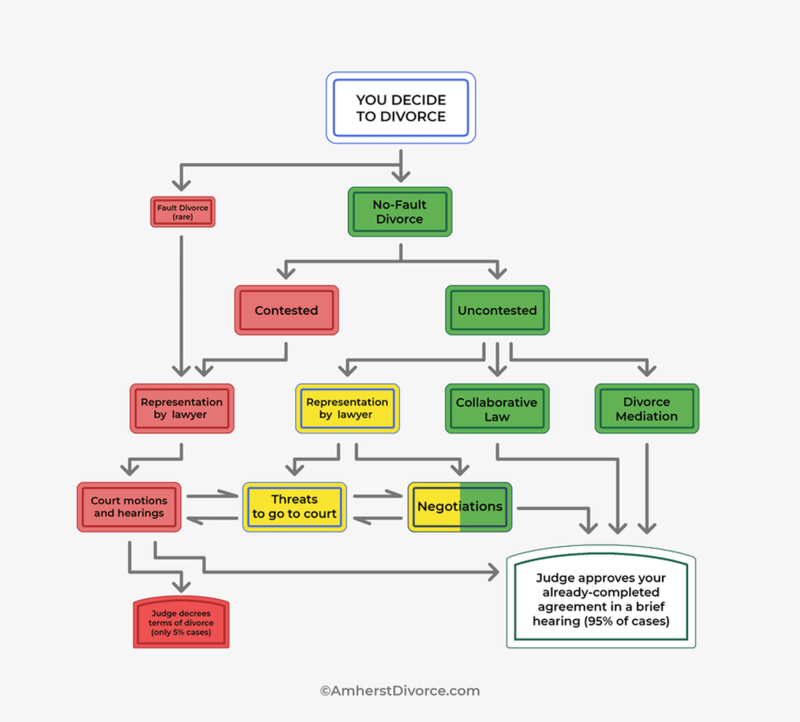 In an uncontested divorce, a couple come to agreement on the terms of the divorce outside of court, and present these terms to a judge who approves them in a very brief hearing. Child support is money paid from one parent to another to financially support children when the parents no longer live together. The State of Massachusetts uses a mathematical formula to determine the amount of child support. Alimony is court-ordered payment of monetary support from one spouse to the other for a period of time after divorce. The 2011 Alimony Reform Act gives guidelines for the amount and duration of general term alimony. In cases with child support, there is only alimony if gross family income exceeds $250,000. You can calculate MA general term alimony here. Division of marital assets in MA must be “equitable”, which means “fair”. This can empower you, as a couple, to divide property in the ways that work best for you, as long as you both find it fair, even if it is not 50-50. How can I find my case docket number or find out other information about a family court case? Massachusetts has made basic court records available online. Download these instructions to see how to access family court records. It's final. I will have the decree in 90 days!!! I was the only one fully prepared. Thank you so much!!! I'm so happy!!! I'm so glad that I put this matter in your hands. If you and your partner are planning to get divorced, you can do it together. This is sometimes referred to as “uncontested divorce” or “amicable divorce,” and it is a form of no-fault divorce. You must file all papers with the appropriate Massachusetts Probate Court (Family Law Court) and pay a fee of $215. Sign and file a “Joint Affidavit of Irretrievable Breakdown.” In this divorce form you confirm that the marriage has irretrievably broken down. File a certified copy of your Marriage Certificate. File a “Report of Absolute Divorce or Annulment.” This is a form that helps the Massachusetts Registry of Vital Records and Statistics to record the divorce. File a “Military Affidavit.” On this form you say whether you are in the military service or not. An “Affidavit of Care and Custody”. This form identifies any previous or ongoing child custody court proceedings or actions. A “Findings and Determinations for Child Support and Post-secondary Education Form. “This is a form that documents reasons why your child support amounts might deviate from the presumptive (“expected” or “standard”) amount. A “Parent Education Certificate”, which confirms that you have attended a “Parent Education Program” for parents of minor children. These education programs are required by Massachusetts divorce law and focus on how to co-parent during and after divorce in a way that is in the best interest of your children. After filing all your divorce forms and fee, you will receive a court date by mail. The uncontested divorce hearing usually takes about 15 minutes in court. After the judge grants your divorce at the hearing, there is a 120 day waiting period before the divorce decree (divorce judgment) becomes final. Already divorced and need proof of divorce? Use this Request for Copies form to get a copy of your Certificate of Divorce Absolute. As a Western Massachusetts divorce mediator and family law attorney in Springfield, I am happy to speak with you about divorce mediation, uncontested divorce, and legal document review. Where do I file for divorce in Massachusetts Probate Court? You file for divorce in the county where you last lived together. If you have both moved out of the county, you can file in a MA county where one of you now lives.